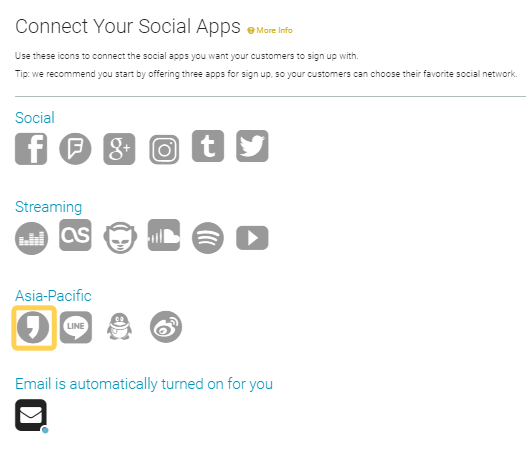 Creating an app in Kakao is a little more involved than some of the other services, so we've added a guide to help with this. First, you'll need to visit https://developers.kakao.com/ and ensure that Google Translate is enabled to translate from Korean. If you go to the login option, you will see a “Sign up” link at the bottom of the box. After signing up and verifying your email address, you will be able to sign in to https://developers.kakao.com/ and create an app. Select +Create app in the top left dropdown, fill out the desired name, and save. You'll now be presented with a set of 4 keys. The two keys that are relevant to AE are REST API Key and Admin Key. You'll also need to set up a valid return URL for the Appreciation Engine. In the “Set” menu on the lefthand side, select “Normal”. Under the “Platform” heading, click the "+ Additional platform" button, select "Web" and set the domain as "https://theappreciationengine.com", then set the redirect path as /KakaoAuthenticator_Controller and save. Now you enable the users section of your app. To do this, just click "User Management" under the "Set" menu to the left and click the switch to turn on. The only one of the Privacy Topics that you need to turn on is the top one, Profile information (nickname / profile picture). Set this one to "necessary" and fill out "Collection purposes" (eg. 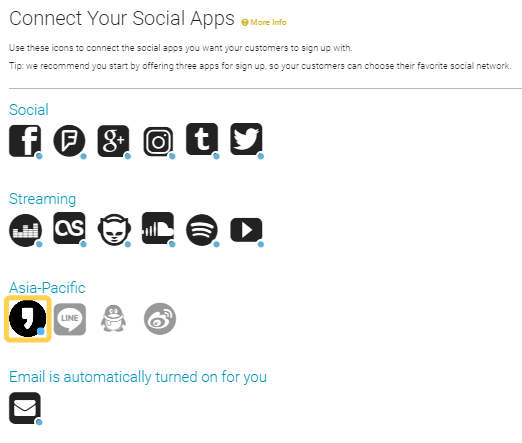 "For social sign on and tracking"). Set all of the rest to not used and save. You've connected Kakao to AE.